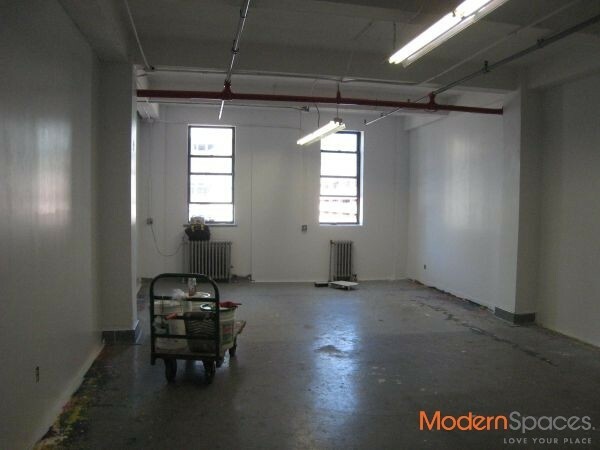 LOFT/OFFICE space with 12 ft. ceilings available in great location of Long Island City. Close to all including 7, E, G and M trains, restaurants on Vernon, gourmet supermarket. Building has freight elevator and offers 24/7 access. 4th Floor unit and faces west with view of Manhattan. Please call Mary Beth @ 415-225-0463 or email marybeth@modernspacesnyc.com to see… viewing only M-F.
LOFT/OFFICE space with 12 ft. ceilings available in great location of Long Island City. Close to all including 7, E, G and M trains, restaurants on Vernon, gourmet supermarket. Building has freight elevator and offers 24/7 access. 4th Floor unit and faces west with view of Manhattan. Please call Mary Beth @ 415-225-0463 or email marybeth@modernspacesnyc.com to see... viewing only M-F.